Trying to remember, much less find and post, all the bookish things on the web I've been longing to share with you this week can be well-nigh impossible (especially when you keep getting mysteriously kicked out of Blogger... aargh). Consider the following a tiny, abbreviated list of the good stuff happening out there this week. I've gotten several requests to include additional independent bookstores on my list of links. Keep 'em coming! If you don't see your favorite indie on the links list at right, it's not because I'm not a fan of the store or even because I don't know about it -- I'm just updating the list slowly but surely with my pokey HTML skills. So feel free to jog my memory. Here are the new additions for this week. - The King's English of Salt Lake City Utah, owned by new author (and my hero) Betsy Burton, who recently wrote a memoir titled THE KING'S ENGLISH about her experiences there. Betsy is a driving force behind the Buy Local First movement in her area (see the links on her homepage), and she's given some galvanizing speeches about starting Local First campaigns at booksellers' meetings. Hooray! - And if you're interested, BookSense.com can probably link you with an independent bookstore in your region, no matter where you are. Many (though by no means all) independent bookstores have their websites hosted by BookSense (run by the American Booksellers Association), which also offers universal gift cards to indie stores and compiles indie bookstore bestseller lists, among other services. I'd like to write about the workings of BookSense, as well as its advocates and detractors, in a future post. 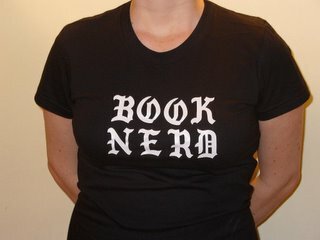 - Another bookseller enters the blogosphere! I'm greatly looking forward to reading Episode Soldier, the brand-new blog of Aubrey from Arches Book Company in Moab, Utah. She's just barely gotten started, but she's got a ton of enthusiasm and smarts, and is definitely one of our industry's emerging leaders. Check it out! - And check out a veteran bookseller blogger (if such a thing exists), and one of my own role models: Robert Gray at Fresh Eyes Now has a beautiful essay/post (the June 6 post) about elitism vs. adventurousness for the reader or wine drinker, with a great quote from FIRMIN by Sam Savage to drive the point home. - The blog Book Of The Day has posted The Alt.list, the results of a blogger-only poll to determine The Best American Novel Of The Last 25 Years. The winner (I'll spoil it for you) is Paul Auster's NEW YORK TRILOGY -- a worthy competitor, I feel, if not my own favorite. There's a similar list at Conversational Reading: Some of the Best Books Since 1990, which I love for the modest ambition of its title as well as the fact that I've read a much higher percentage of them than of the Times list. I've noticed the books and authors in these lists tend to skew a lot younger and more recent than those in the Times' list -- is that because bloggers as a rule are younger than members of the literary establishment polled by the Times, and we tend to read from our own generation? - Speaking of great young authors, the Guardian has a funny piece on my perennial favorite underappreciated author Daniel Handler, who has an ongoing rivalry with his more successful alter ego, Lemony Snicket. - Because I've been dying to write about this but I'm not sure when I'll have the time, I'd better just give you the link to this fascinating piece about shelving and organizing bookstore sections by bookstore owner James Sime (aka Comic Pimp). His store sells exclusively comic books, which makes for some unique issues, but the task of creatively organizing and displaying books for high sales and customer (and staff) happiness is one that all us bookstores face. Any thoughts, readers? And finally, if you'll permit me, a personal announcement. Since my last post, due to his introduction of a small item of jewelry into our midst, the ALP has officially become the ALF (Adorably Literate Fiancé). Life is about to become a bit busier, and even more wonderful.